The Edmonton Folk Festival, one option for festival volunteering in Edmonton. Photo by Vivian Binnema. One of the things I love about Edmonton is its festivals, and in the past year I have found a way to enjoy them even more: as a volunteer. When I volunteer I enjoy the sense that I’m making a meaningful contribution to an event I love, I learn more about how festivals are run and gain valuable experience, and I get to meet new people. Festival volunteering in Edmonton comes with more tangible perks as well. Typically, volunteers can expect a free pass to the festival in question. Some festivals also offer their volunteers free food, an appreciation party, and other tokens of appreciation. For example, as a volunteer at the Fringe Festival this year, I could ride public transit for free for the duration of the festival, and through my volunteer hours earned credit that I could use as payment to attend Fringe performances. The Fringe also holds a wrap-up party for their volunteers on the last day of the festival. I volunteered for the Folk Festival one year as well and know that volunteers enjoy free access to the site for the weekend, free meals, and access to parties. Applying to volunteer at festivals in Edmonton is simple. The organization’s website will have a volunteer application. Some volunteer positions may require additional certifications or experience, but in many cases all you need to do is fill out a volunteer application and wait to hear back from the organization. Volunteers are usually required to work a minimum number of hours but will still have time to enjoy the festival when not on shift. Festivals usually offer volunteers a range of teams to choose from so it is possible to find something you genuinely enjoy doing. Volunteer positions for the Folk Festival include providing performer hospitality, managing sound stages, taking pictures, preparing food, doing first aid, and directing traffic – and there are many other volunteer teams in addition to these. Fringe volunteer applicants rank their top three preferred volunteer teams from a list that includes Security, Box Office, First Aid, Beer Tents, Front of House, Community Engagement, Multimedia, and KidsFringe. Festivals rely on the support they receive from their volunteers and appreciate their efforts. One of the beautiful things about festivals such as the Folk Festival and Fringe Festival is that they are run largely by people willing to donate their time because they love the festival and want to be part of what makes it work. 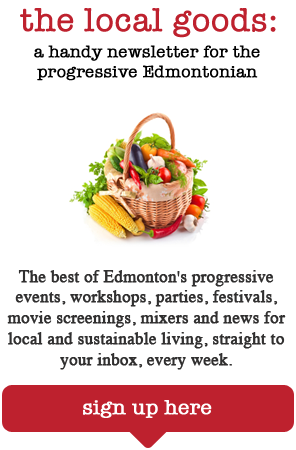 If you love Edmonton’s festivals like I do, you will probably enjoy the feeling that you help make them possible by contributing your time to ensuring they run well. While the summer festival season has wrapped up for another year, festivals occur throughout the year in Edmonton. LitFest, a non-fiction festival, runs from October 16-27, and requires volunteers for author hospitality, front-of-house, and book sales. Festival volunteering in Edmonton is a rewarding experience and plenty of opportunities await!